After seventeen years managing Hassocks Football Club, Dave John has announced that he will be relinquishing the reins at the end of the season, and moving ‘upstairs’ to become the Club’s first Director of Football. Dave explained to the Club that the recent illness of his wife Ann, herself a familiar sight at the Beacon where her cakes are legendary, had prompted him to take the decision to stand down from a post that over the years has taken up an increasing amount of his time as the Club progressed from Intermediate football in Adastra Park to become a well regarded member of the Sussex County League First Division. Dave said that Ann’s illness - thankfully she is now well down the road of recovery – had caused him to reprioritise his time and after a number of discussions with Chairman Derek Hurley, he has agreed to take up the post of Director of Football where he will have overall responsibility for the continuing on pitch development of the Club but without the day to day management pressures. Derek Hurley said that the Club fully understood Dave’s decision, and were keen to see him utilise his considerable football experience at the Club. The development on the pitch during Dave’s reign had been considerable to match the exciting progress off the pitch that recently culminated in the opening of the new clubhouse and the purchase of some 6.5 acres of adjoining land that will be developed for additional football purposes. Dave’s new role will maximise his experience whilst freeing up more time for both him and Ann. The Club felt that it was important to act quickly to get a replacement as 1st XI manager, and Derek was delighted to say that the post would be taken by Mickey Jewell, presently manager of the Club’s successful Reserve team, who would bring a wealth of experience to the position having managed with great success at both Lindfield and St Francis Rangers. Whilst Mickey will officially take up his new role from the end of the season, the Club will take the opportunity this season for Mickey to gradually work more with Dave so as to make the ultimate take-over as seamless as possible. Mickey Jewell confirmed to the Club that he is delighted with the opportunity, albeit tinged with sadness at the reason for the vacancy. 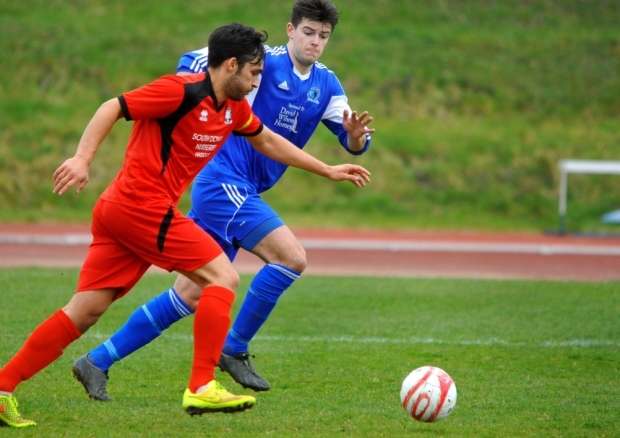 He had enjoyed his two years at Hassocks and felt that the future was bright for a Club that prided itself on developing youngsters through the Youth Team and the Club’s three senior sides. He would be seeking to continue the successes of Dave John, with the target of giving the Club the opportunity to move up the football pyramid system in the next few years.